Throughout this year I participated in activities initiated by an organization called the College Woman’s Association of Japan (CWAJ). Despite their name, they also offer certain programs that are addressed to both genders and aim at introducing traditional Japanese culture and costums to foreign university students. 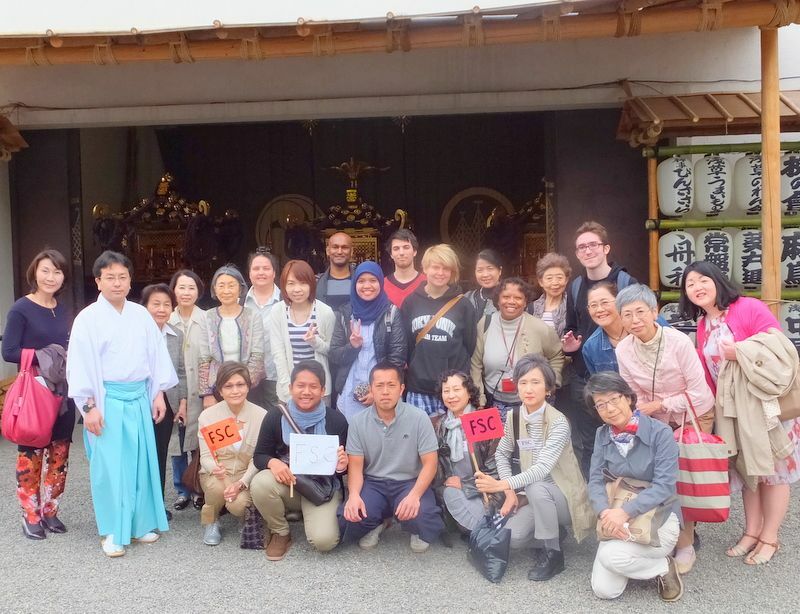 The Foreign Student’s Circle (FSC) organizes several activities each year like attending cultural events or taking students to walks during which students are exposed to traditional Japanese landscapes and can truly immerse themesleves in Japanese culture, or even put their Japanese language skills into use. The nice FSC mentors are always happy to tell students intersting anecdotes about Japan and its people or history. Earlier this year attended for example a cultural walk in the historic Tokyo neighborhood of Asakusa where the famous Sensoji shrine and pagoda are located. We were introduced into the history of the shrine and could even observe a traditional Japanese shinto wedding (no pictures allowed, sorry…). In November, I attended a traditional martial arts festival in Yoyogi park where many ancient practices were showcased and thus one could get a very clear idea of how these were applied during past periods in Japan. If in the future you would like to participate in one of these events, please have a look at their website, and after a quick sign-up you will be able to attend every FSC gathering.